Product #55688 | SKU AX4U360038G17-DR80 | 0.0 (no ratings yet) Thanks for your rating! Utilizes a combination of liquid heatsink that’s hermetically sealed with non-conductive fluid and an aluminium heatsink to deliver effective cooling. 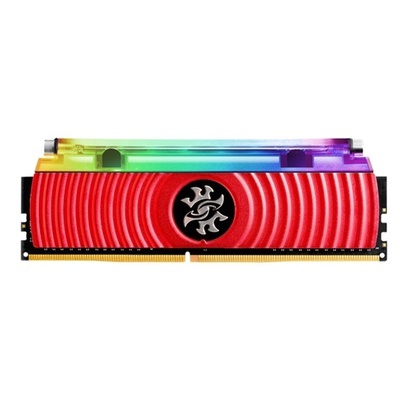 Meet the world’s first DDR4 RGB memory with a hybrid liquid-air cooling system, the SPECTRIX D80 from ADATA. It utilizes a combination of a liquid heatsink that’s hermetically sealed with non-conductive fluid and an aluminium heatsink to deliver effective thermal cooling. What’s more, the liquid heatsink is illuminated with RGB lighting to give your rig a distinctive flair.